So Hyundai is joining BMW and a range of technology companies to work on the next generation of in-car networking solutions. Broadcom, NXP, Freescale and Harman have banded together to create the OPEN (One-Pair Ether-Net) Alliance special interest group and BMW and Hyundai are the first two automakers to sign on. The group will be working towards ethernet-based automotive connectivity, but that doesn't mean you'll be running a CAT5 cable out your house and into car. The SIG is backing Broadcom's BroadR-Reach cable – specifically developed for automotive applications – that's able to transmit up to 100 Mbps over a single, unshieled wire. This should reduce internal networking costs and also shave a few pounds from production vehicles in the process. If you want to geek out on the details, hit the jump for the release. Broadcom Corporation (NASDAQ: BRCM), NXP Semiconductors N.V. (NASDAQ: NXPI), Freescale Semiconductor (NYSE: FSL), and Harman International (NYSE:HAR) today announced the formation of a special interest group (SIG),established to drive wide scale adoption of Ethernet-based automotive connectivity. Jointly developed with founding automotive members BMW and Hyundai Motor Company, the OPEN Alliance (One-Pair Ether-Net) SIG will address industry requirements for improving in-vehicle safety, comfort, and infotainment, while significantly reducing network complexity and cabling costs. For more information visit www.opensig.org. Designed to encourage wide scale adoption of 100Mbps Ethernet connectivity as the standard in automotive networking applications, the OPEN Alliance plans to expand its membership roster in the coming months to additional automotive suppliers and manufacturers. Key to the newly established SIG is the proliferation of Broadcom's BroadR-Reach® technology as an open standard. BroadR-Reach technology, designed specifically to address the stringent requirements of the automotive industry, delivers high-performance bandwidth of 100Mbps over an unshielded single twisted pair cable. By eliminating the need for expensive, cumbersome shielded cabling, automotive manufacturers can significantly reduce connectivity costs and cabling weight. Founding members will initially focus on establishing interoperability requirements, third party testing, certification procedures, and higher data rate specification requirements. License to specification for BroadR-Reach is available to all interested OPEN Alliance members under RAND terms via a license from Broadcom. Kevin Brown, Vice President and General Manager, PHY, Broadcom Corporation "Broadcom is working closely with leaders throughout the industry in defining the future of automotive networking. Through the formation of the SIG, we'll gain invaluable insight and support in the proliferation of BroadR-Reach Ethernet technology as an open industry standard. Making BroadR-Reach Ethernet open to the industry will help manufacturers achieve higher bandwidth, significantly reduce connectivity costs, and deliver new and exciting features and applications to a broad range of vehicles." 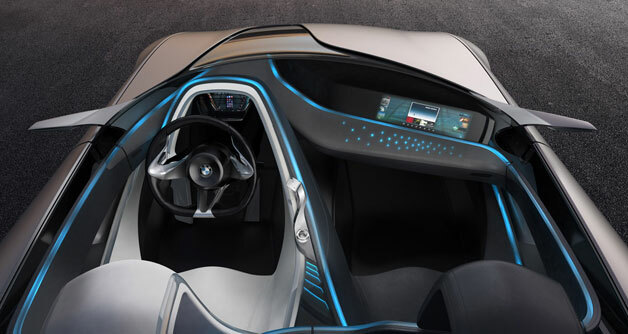 Lars Reger, Vice President Strategy & New Business Automotive, NXP "BroadR-Reach Ethernet technology addresses the high bandwidth functionality the automotive market is asking for. We're excited to adopt this standard. As the global No. 1 supplier of In-Vehicle Networking technologies NXP will speed up the wide adoption of Ethernet in the automotive industry. Automotive Ethernet is the logical next step in NXP's broad In-Vehicle Networking portfolio of products, starting from LIN, CAN and FlexRay up to Ethernet." Ray Cornyn, Vice President and General Manager, Automotive Microcontroller Division, Freescale "Freescale has long been at the forefront of automotive networking technology, helping to establish such standards as CAN, LIN and FlexRay. Ethernet is the next step in the evolution of automotive networking, meeting the need of new high bandwidth applications, such as cameras and multimedia. By enabling Ethernet communication over unshielded twisted pair cable, BroadR-Reach technology provides a critical element to a flexible and cost effective Ethernet solution." Sachin Lawande, Chief Technology Officer and Co-President, Lifestyle and Infotainment Divisions, Harman "As the leader in connectivity solutions for the world's automakers, HARMAN is pleased to support the work of our industry partners in driving scalable Ethernet solutions for high speed networking for the car. Increasingly we see the need for flexible and cost-effective connectivity solutions supporting the customers growing demand for information, entertainment, and safety features seamlessly integrated within the car network. Ethernet will provide the highest quality streaming A/V experience and encourage interoperability of networked A/V devices." About Broadcom Broadcom Corporation (NASDAQ: BRCM), a FORTUNE 500® company, is a global leader and innovator in semiconductor solutions for wired and wireless communications. Broadcom® products seamlessly deliver voice, video, data and multimedia connectivity in the home, office and mobile environments. With the industry's broadest portfolio of state-of-the-art system-on-a-chip and embedded software solutions, Broadcom is changing the world by Connecting everything®. For more information, go to www.broadcom.com. About NXP Semiconductor NXP Semiconductors N.V. (Nasdaq: NXPI) provides High Performance Mixed Signal and Standard Product solutions that leverage its leading RF, Analog, Power Management, Interface, Security and Digital Processing expertise. These innovations are used in a wide range of automotive, identification, wireless infrastructure, lighting, industrial, mobile, consumer and computing applications. A global semiconductor company with operations in more than 25 countries, NXP posted revenue of $4.4 billion in 2010. For more information visit www.nxp.com. About Freescale Semiconductor Freescale Semiconductor (NYSE:FSL) is a global leader in the design and manufacture of embedded semiconductors for the automotive, consumer, industrial and networking markets. The company is based in Austin, Texas, and has design, research and development, manufacturing and sales operations around the world. www.freescale.com. About Harman International HARMAN (www.harman.com) designs, manufactures and markets a wide range of audio and infotainment solutions for the automotive, consumer and professional markets - supported by 15 leading brands, including AKG, Harman Kardon, Infinity, JBL, Lexicon and Mark Levinson. The Company is admired by audiophiles across multiple generations and supports leading professional entertainers and the venues where they perform. More than 25 million automobiles on the road today are equipped with HARMAN audio and infotainment systems. HARMAN has a workforce of about 12,500 people across the Americas, Europe and Asia, and reported net sales of $4.0 billion for twelve months ending September 30, 2011. The Company's shares are traded on the New York Stock Exchange under the symbol NYSE:HAR.